At Bonbright, we provide our customers with the best beers from around the world. We seek the breweries with the best liquid, culture, and people to bring to our market… and we just landed a whopper! 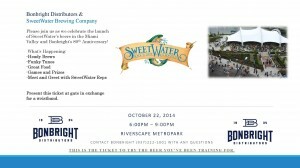 We are proud to announce the arrival of SweetWater Brewing Company to the Dayton/Cincinnati area. 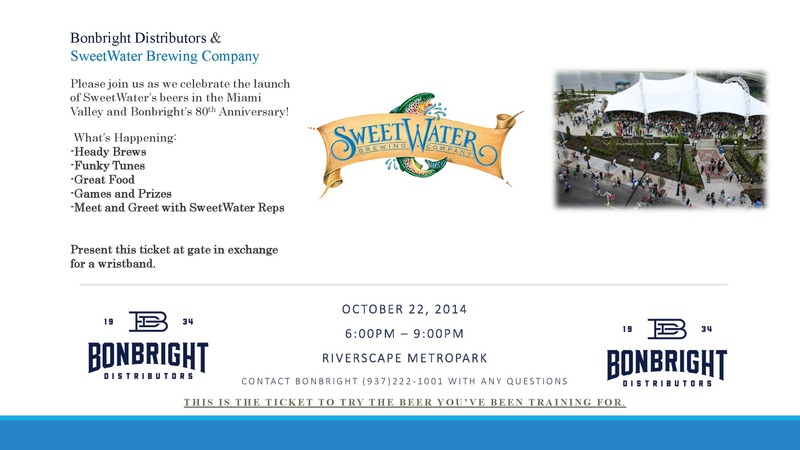 Beginning on October 20th, SweetWater’s tasty brews will be flowing into retail stores and bars near you. If you haven’t had the pleasure of sampling one of these heady and hoppy brews, come join us for our launch party, October 22nd at Riverscape MetroPark. You can find your ticket below or on our facebook page. Fish On!